Have you or your child ever been caught in the funnel of fear? Sometimes, parenting can take every ounce of strength we have. Parents of sensitive children know this feeling all too well. In the funnel of fear, we can't imagine the possibilities, and we can't access compassion. It's an emotional storm that can knock us to our feet and keep us stuck in fear-based thinking, and resistant to new ideas. This control offers our closed-down brain a sense of safety, but we risk limiting ourselves to surviving instead of thriving. 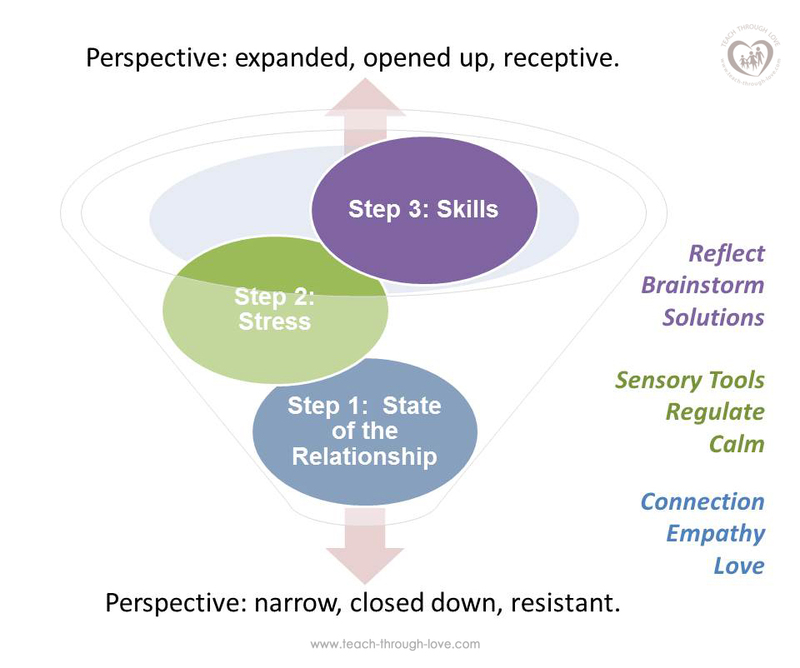 When you don't know what to do in the middle of your child's emotional storm, follow these 3 steps out of the funnel to help you go from fear to the freedom you need to expand your perspective and see new solutions. 1. Support. Connection is the most potent discipline tool we have. When we are closed down to new ideas and resistant to change, our relationship and the empathy we receive from another human is how we can begin to move up and out of the funnel. Reconnect with your child by making yourself available and non-threatening. Connect with a gentle touch or eye contact. "You're frustrated. That's normal, and I'm going to help you through this. You can count on me." 2. Stress. After you connect, it's time to co-regulate. We can't move to skill building without clear thinking. Can we change the environment? Can we use a sensory tool? Move to a quiet space. Be the physical boundary when needed. Have a basket filled with sensory tools - things children can use to relieve the tension in their bodies physically. Play-doh, swings, stress balls, headphones, earplugs, tents, and beanbags are some of the tools I have used with my daughter to help her calm herself. 3. Skills. 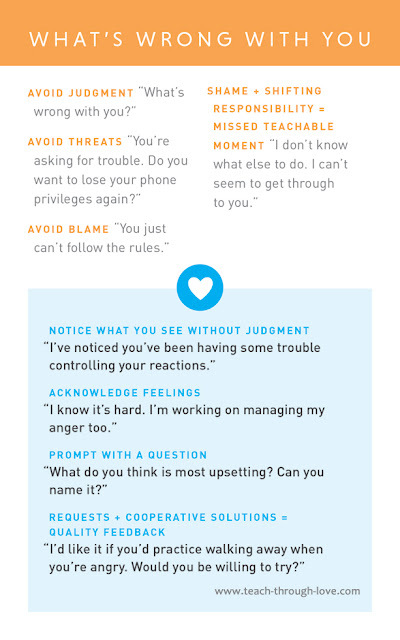 Skill building asks us to name the problem and reflect on our actions so we can notice what went wrong, and brainstorm new solutions. Probing for answers to prompting with questions. 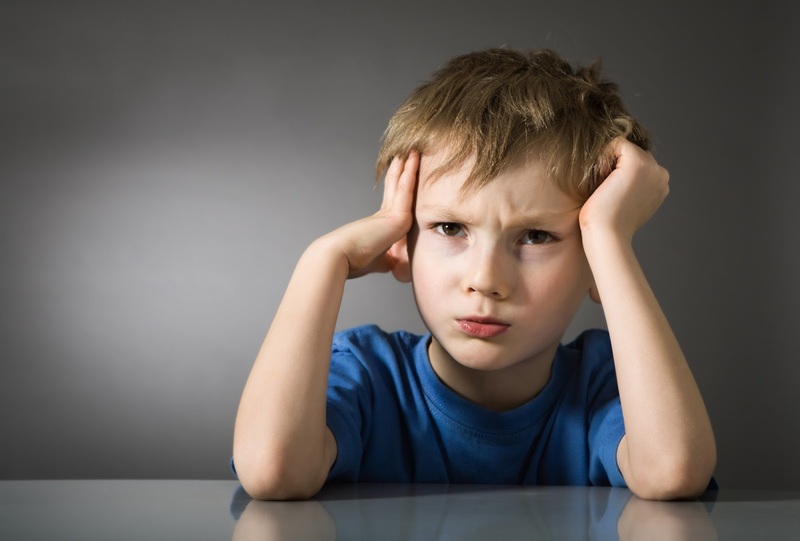 When children have difficulty handling their emotions or feel overwhelmed, it's easy to follow them down the funnel and become lost in their upset. These three steps will help you to stay conscious and feel capable. What do you think? 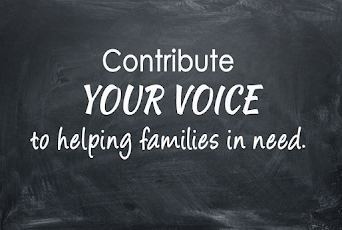 Share your thoughts, successes, and stories in the comments below. 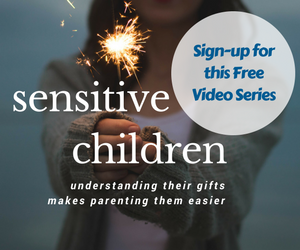 Want to learn more about supporting sensitive children? Click HERE to watch the introductory class for free. Until next time, please remember it's about consciousness - not perfection!